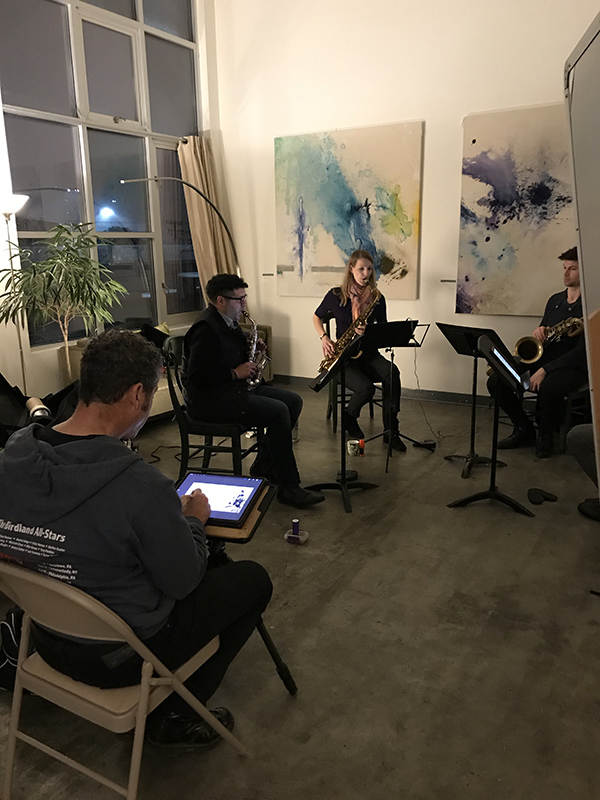 This time-lapse replay video shows the unfolding of the creative process of an iPad sketch of The Mana Quartet while rehearsing in Peggy’s art studio at 1890 Bryant Studios, San Francisco. The tools I used for this were the iPad Pro 12.9 (3rd Gen.), Apple Pencil and the Procreate app. 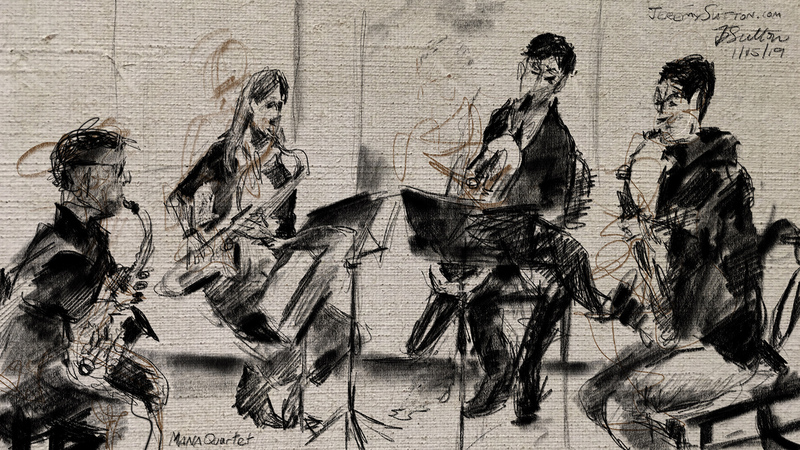 Thank you Michael, Diane, Thomas and Michael for your inspiration!